For some, the commute to work is a real pain. Living in the city can mean endless queues and trains before getting to sit at a desk all day while living in the country may mean more greenery but it nearly always also means super extended journey times. This is the time of year that a lot of people start thinking about getting fitter and maybe riding their bike to work. For some, this is an easy change and they can just whip out their old foldable bike or fixie. In this article we are going to go through how easy or hard it is to commute on a BMX bike; what modifications you can do to your BMX bike in order to have a better time riding to work; how to be safe on your bike when in rush hour traffic and finally what the best types of bikes are for a commute. BMX bikes are good for commuting in certain cases. Shorter distances with fewer hills are optimal, but I guess that could be said about any bike. What you have to think about is that you’re never going to have great gearing on a BMX. Using a train along with a BMX will be much easier than full-sized bikes. BMX bikes have a super simple design that is brilliant for withstanding a lot of abuse. With the right setup and maintenance, you will never have to worry about carrying your bike miles home through a crowded city. Should I Commute on my BMX Bike? If you have a choice between a BMX and something like a fixie or foldable bike then I would probably suggest you go with your other option. Those of you that don’t have an option of another bike but still want to get fit and ride to work can still definitely make do with a BMX. The ride may be uncomfortable if you’ve got a long journey and you may break a sweat when climbing multiple hills due to the low seat height and short length of the bike. These bikes are much more suitable for stand up riding and tricks. With a few modifications, you can make a BMX ride to work very comfortably. One good thing about a BMX bike is that you can manoeuvre it much better and faster than most other bikes. The small back end is actually very beneficial for cornering and getting around intricate areas at speed. 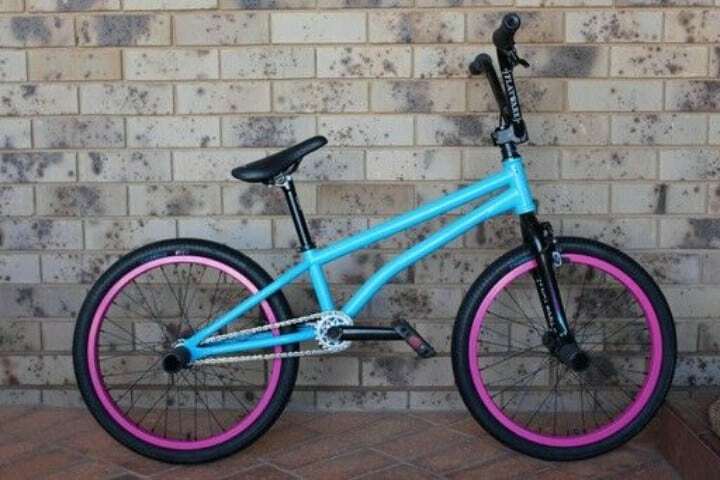 The typical BMX setup is specifically designed for one of the many riding disciplines. Park and street riding will often have super slick tires, a low seat and a steep standover. A dirt jump style BMX bike will be set up in a very similar way to park and street bikes but with a few differences. Wider and more defined tires are often used for dirt. Since riders use these larger tires extra clearance will also need to be accounted for on your frame and forks. I can attest to the fact that riding with a small amount of clearance between your tires and forks will nearly always result in your head tube filling to the brim with dirt and leaves. BMX dirt jump riders will also often ride with a rear brake. Where a park or street rider would shy away from a brake due to the barspin limitations, some dirt riders prefer it due to the extra speed they need when riding dirt courses. Flatland and race riders are probably the most unique riding styles. Flatland bikes usually have a near vertical headtube angle. This is great for the type of tricks flatland riders perform because an extremely steep headtube angle makes the bike steer much harsher. Having this extra responsive aspect helps riders with certain nose tricks. Flatland bikes also commonly have specialised pedals and 4 pegs. Two pegs are the normal amount for a BMX bike since most people prefer to grind only on one side. The four peg setups are used as an extra number of hand and foot holds when performing complicated tricks. Finally, there are race bikes. These bikes are the most different. Carbon fibre frames, forks, clip in pedals and brakes are all the norm in the racing community. The tires are more like road racing bikes than anything you would see at the normal bike park. Riding clip in pedals is also much more common in BMX racing. Clip in pedals are sometimes considered a little more dangerous than regular platform pedals as it takes longer to unclip and touch the floor than normal but on the other hand, you can also pedal much faster. This is done by pulling upwards as well as pushing downwards when pedalling. Personally, I wouldn’t recommend commuting on a flatland or racing BMX. These bikes are both just too heavily designed for their specific discipline. Park, street and dirt bikes are much more flexible to riding style and location. The first modification I would make is the seat/saddle. When riding for extended periods of time, staying stood up will become a real pain. Raising your seat and possibly changing to a more comfortable saddle will make a world of difference. The optimal seating height for long-range cycling is around waist height. There is no specific height you should aim for but as a rule of thumb, your leg should be slightly bent at the bottom of your pedal turn. A lot of newer BMX’s now won’t come with seat posts long enough for your seat to be this high. If you can’t find or buy another seat post, the highest you have available will have to do. There are many different types of saddles for bike riding. Race bikes and some dirt jump bikes commonly have small plastic seats. These definitely aren’t designed to be sat on all too often. Most people think of these seats as little more than protection against getting a hard metal bar against your bum. If you currently have a plastic seat I would definitely recommend buying a new padded seat first. 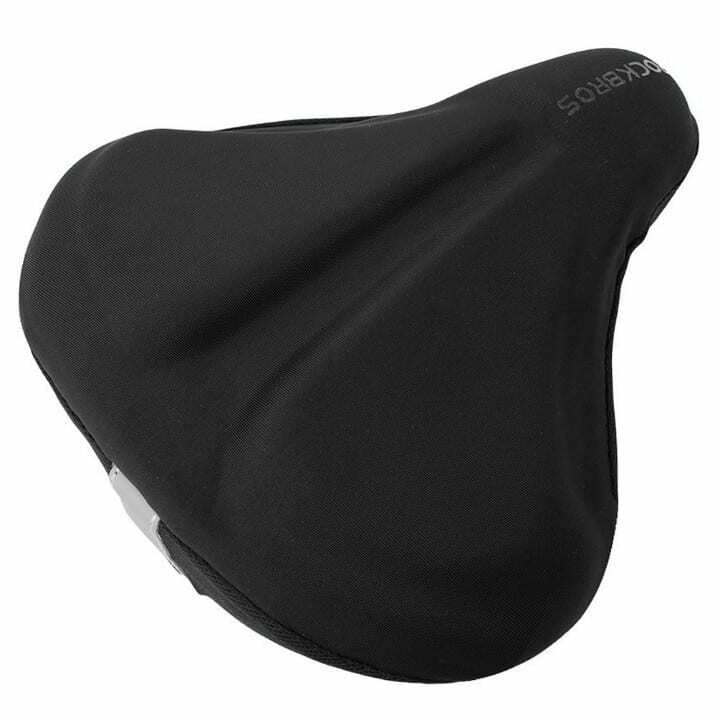 If a padded seat still proves to be a little uncomfortable for you then a padded seat cover will probably be the best option. These are just a simple cover containing several sections of padding in the most important areas of the seat. A simple seat cover like this can make a lot of difference in terms of riding comfort. The next recommendation I’d make won’t be applicable to everyone but it is important if you’re thinking of riding on busy roads. If your bike doesn’t currently have any brakes on your BMX I would definitely suggest fitting at least a back brake to your bike. Riding brakeless [bmx-brakeless-vs-brakes.htm] is often great for learning new tricks and pushing yourself to commit more but when out on the roads, it becomes a lot more dangerous. The majority of bikes will allow you to fit both front and back brakes but in most situations, a single back brake will be more than enough. 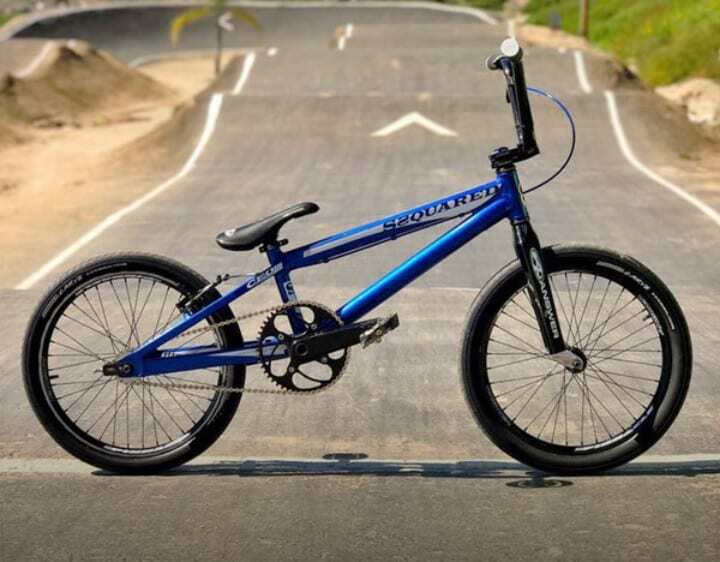 The vast majority of brakes used on BMX bikes are U-brakes. These work by having two arms that cross over each other hug the tire and position two rubber brake pads close to the rim. Each arm is then attached to a brake cable that, when pulled, pushes the pads onto the rim. U-brakes are very easy to fit as most frames will fit most brakes. Be sure to check that your frame has brake mounts as some of the higher priced or newer frames are built without. Safety is the number one priority when commuting to work. Ensuring you and your bike are safe going to be safe when out on the roads is a free, easy task that can be done before every ride. Most safety recommendations are very obvious and should be things you learnt early in your bike riding career. Wearing a helmet is essential for any commute to work. Riding on the roads can often be just as or more dangerous than riding at any skatepark. Drivers are unpredictable and often don’t take enough care when driving. You should always be wearing a helmet when riding a bike, whether at the BMX park or on the commute. 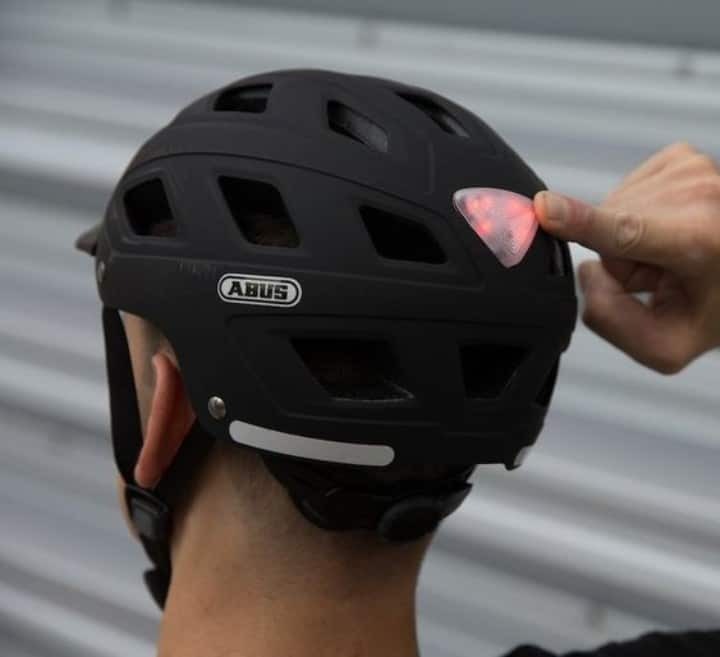 There are a few different types of helmets for cycling. As long as there’s no pre-existing damage to your helmet there aren’t many differences between them. Any regular ‘lid’ style helmets will do for your commute. A BMX helmet may actually be better for certain situations. The second thing I’d do to keep your bike safe when commuting is tightening your bolts. This should be something you do every six months or so anyway. This doesn’t need to be full service but going over your bike with a set of allen keys and some WD-40 will keep your bike riding better for longer while also setting your mind at ease. There are a couple of key things to remember when going over your bike in this way. Firstly your stem. When tightening your stem onto your forks you need to tighten the top bolt first. This bolt is used to clamp the stem down onto the frame and forks, thus creating a much safer connection. You can then start tightening the surrounding bolts that will keep your forks and bars inline. 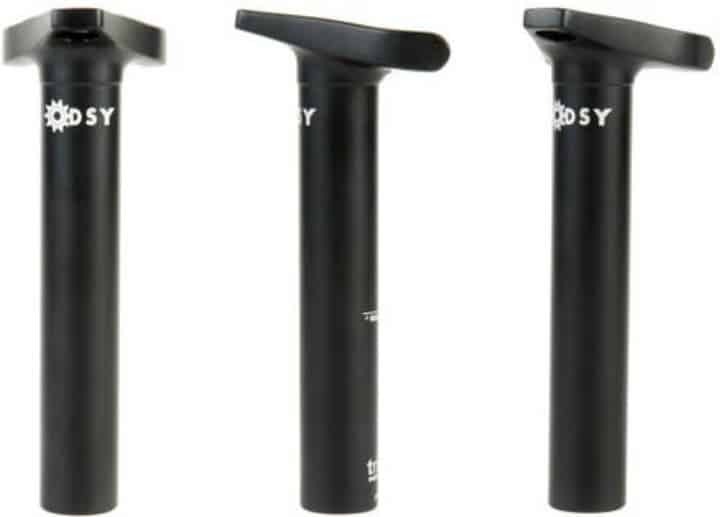 The second thing to remember is when tightening your bars onto your stem. It is not so important when pinching up the bolts but when re-assembling your bike these bolts need to be tightened in an ‘X’ shape. You should also remember to progressively tighten the bolts over several passes. You want the face plate to be progressively tightened without one corner or side tightening faster than the others. The final thing to think about is how you’re going to be seen when riding during winter or low visibility. Even if they’re small and don’t offer much light, having a red and white light will increase your visibility to passing cars tremendously. Conclusion In conclusion, BMX bikes may not necessarily be the best for commuting but they definitely can work well if you prepare and set up your bike properly. If your ride to work is less than about 5 miles and doesn’t include too many steep inclines then you shouldn’t face any significant problems.